Students come to study International Relations at university driven by a variety of motives and active concern to study great contemporary issues, such as the causes and persistence of war, threats of nuclear proliferation and terrorism, the persistence of global poverty amid globalization’s riches and longer term threats to sustainable development. 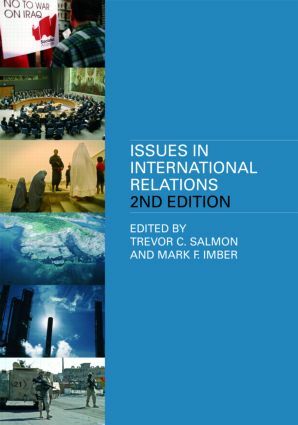 Building on the success of the first edition, Issues in International Relations 2ed provides students with a clear, but stimulating, introduction to the most significant issues within international relations in the 21st Century. Written by experienced teachers in a jargon-free way, it assumes no prior knowledge of the subject, and allows students approaching International Relations for the first time to gain confidence in what is an often complicated and confusing discipline. provides students with boxed 'revision-style' notes and case studies throughout the text and a guide to further reading and websites at the end of each chapter. This book is ideal reading for students on introductory international relations courses.